Erna was born March 5th, 1931 to Olga and Ted Breitkreuz. She grew up on the family homestead, the eldest of six children, during the depression. Erna married Marvin Dargatz on March 22, 1950. In July of 1953, Marilyn was born and three years later Bruce was born in November of 1956. Erna and Marvin were faithful members of the Wetaskiwin Mission Church. Mom was a part of the ‘Ladies Aid’ and arranged flowers for the Church for Sunday Services. Erna and Marvin began to travel once their children had grown and spent many weekends camping and fishing as well as vacations to Vancouver, Arizona, and Hawaii. They were looking forward to retirement and made plans for a trip to Alaska to celebrate their 40th wedding anniversary when Marvin passed away suddenly in February of 1990. A few years after Marvin’s passing, Erna was fortunate to have developed a special friendship with Al Grabinsky. Erna and Al both were residents of Sunrise Village and they shared an interest in curling, bowling and the Blue Jays. Erna was predeceased by her parents, Theodore and Olga Breitkreuz, her loving husband Marvin, brothers Paul and Walter and friend Al Grabinsky. Erna is survived by daughter Marilyn (Dwayne) and son Bruce (Susan) as well as four grandchildren Carla (Dan), Greg (Candice), Mark (Juliana), Scott (Lauren), and four great grandchildren, Jaxson, Emma, Brynn Lee and Kaelyn. She is also survived by sisters Ida (Don), Esther (John), brother Robert (Johanna) and many nieces and nephews. The family wishes to thank the doctors and staff at Centennial Center in Ponoka and special thanks to the staff at the Laurier House Lynnwood in Edmonton. Although there is sorrow for those of us left behind, we know she is rejoicing in Heaven with her Saviour and together again with her husband and best friend, Marvin. 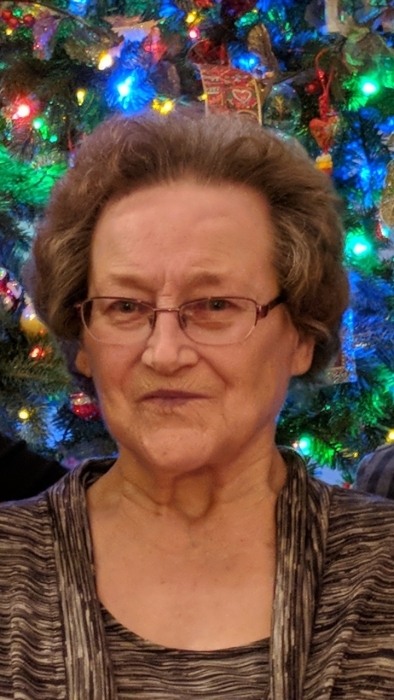 Funeral Service: Tuesday, March 26, 2019 at 1:00 p.m. at the Wetaskiwin Mission Church with interment to follow at the Wetaskiwin Memorial Cemetery.